In the Independent Review of the Research Excellence Framework, Lord Stern has called for the broadening and deepening of the definition of impact. It is recommended that ‘impacts on public engagement and understanding are emphasised and that impacts on cultural life be specifically included’. 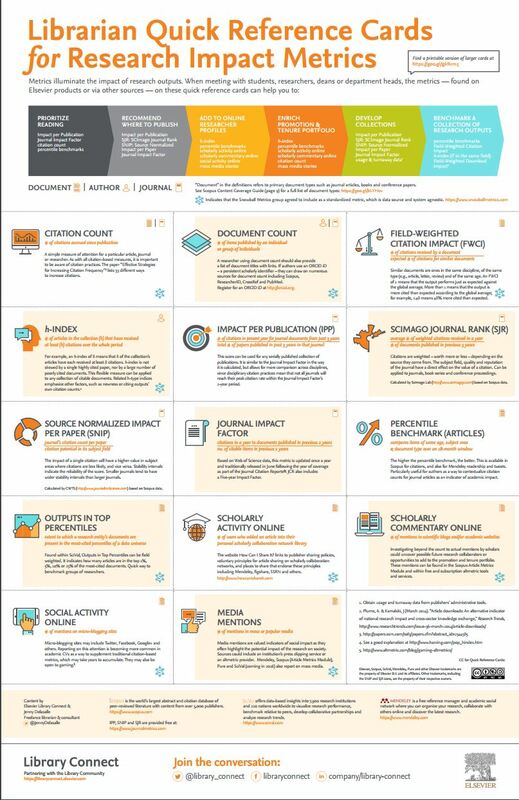 Partnering with librarian Jenny Delasalle, Library Connect has produced a useful and attractive consolidated quick reference guide to some key research impact metrics. 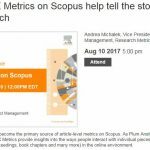 Golden Rule 2 – Ensure that the quantitative, metrics part of your input always relies on at least 2 metrics to prevent bias and encouragement of undesirable behaviour.